Using the scenario from the previous post, below is the description of the solo playthrough. All bids (initiative, shooting, combat etc) for the smuggler side were generated by the solo bidding charts. Please note that this is not a review as I was involved with proof-reading and some editing of Knights and Knaves. As the main objective is to enter the building and destroy the plans, the main Imperial tactic will be to bid high initially in an attempt to get as many figures as possible through the crystal fields, bypass the thugs, and try to enter the building. As the AI will generally bid lower from turn 7 onwards (and an action is needed to enter the building), at least one Imperial model should really try to be in there by turn 6. This should also give extra time for the search. The Imperials also need to deal with the bounty hunter, who is a major threat. I wanted to win initiative and luckily did so, with the AI getting only one reaction. 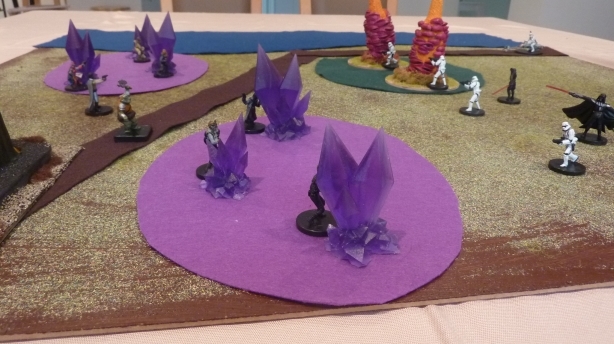 The apprentice used the Monk ability to break off from the bounty hunter, and move out of the crystal fields towards the building. 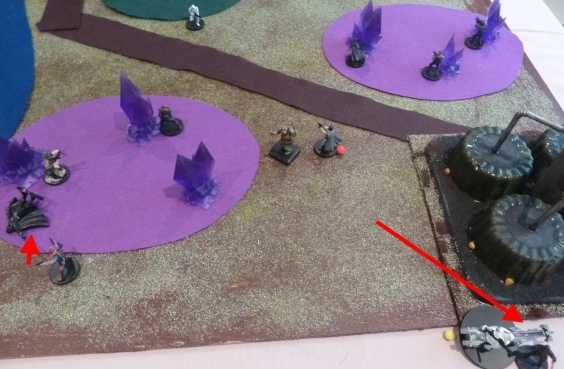 This used up the one smuggler reaction move - the Gamorrean next to Lando made reaction charge back. The speeder was now free to get into the building, and use the cavalry ability to break off melee (he could have done it anyway with his opponent on red condition). The fight between the apprentice and Gamorrean was another draw with both bidding 5. 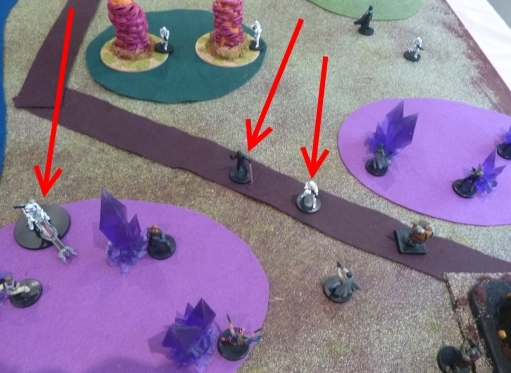 I forgot to take a picture at the end of this turn, but the main thing was the Imperials finally got into the building. 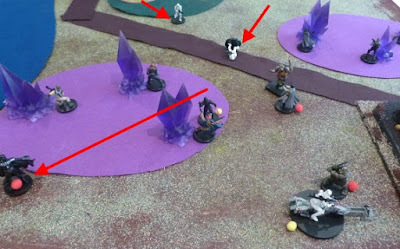 In hindsight, I made the wrong moves with Vader. He should have gone for the bounty hunter at the start instead of the apprentice - and then try to get him into the building ASAP and out of harms way. And when I broke Vader off, he should have tried to leave the field rather than hang around. 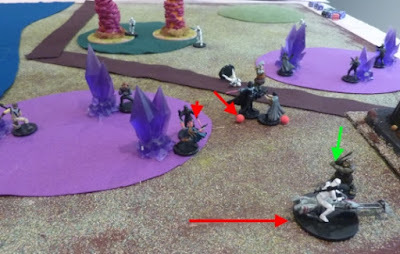 At the end, I should have used paralysis (force choke) on the bounty hunter rather than try to run away at that stage, or just do nothing so that there could be no reaction shooting on him. The other alternative was to do a different opening and use stormtroopers at the start, using them as blockers to draw off the building defenders. Not sure. The game seemed to slip away from the Imperials, but was still winnable at the end. The Talismans proved to be good value, but unfortunately, used up to soon due to some lucky shooting from the bounty hunter - Vader could have used it at the end. The tricksy break-off from melee that monks have was good as well, allowing the apprentice to bounce through a few enemy to get a run into the building. The one Monk ability I should have used but didn't was the dice flip when defending against shooting. I notice you had reaction charges in response to moves on the building. Normally you can only reaction charge something that's charging you, or a friend. Was this a special rule you added in? An excellent report though, especially since a lot of the game mechanics are thoroughly explained. 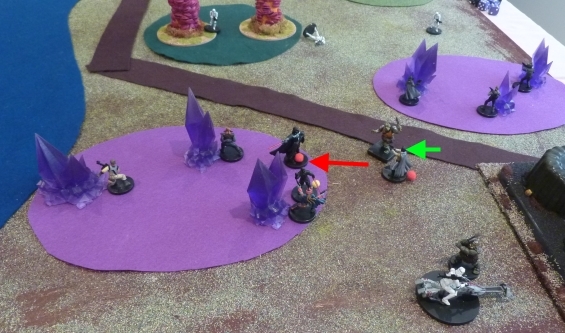 It was intercepting an opponent moving towards the reacting figure (bullet point 4 on on page 4 under React in Battlesworn). It doesn't state the enemy has to actually be charging, just moving towards. 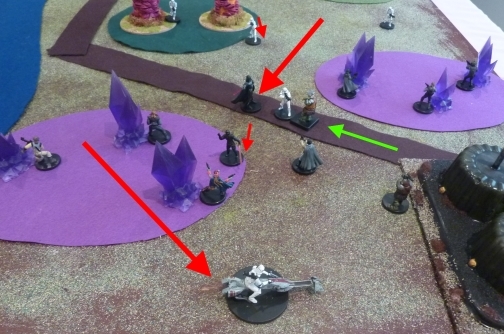 It makes sense in this scenario, otherwise the Imperial forces could just try to win initiative each round and move through the smugglers into the building, and never be intercepted. 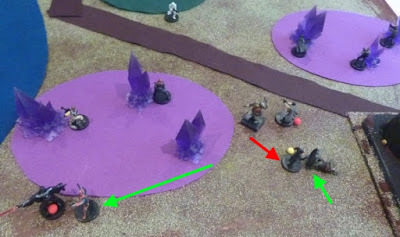 The idea of the AI starting to bid lower from turn 7 is based on a 10 turn game, where I have found that players will try to win initiative more towards the end, especially if they want to charge into or shoot weakened enemy, or some other reason.